Psychology became a science in the nineteenth century. The roots of this new science were many. Philosophers provided psychology’s conceptual framework: physiologists provided knowledge of the nervous system and experimental methods; and social reformers and psychiatrists provided motives for using science to improve the human condition. 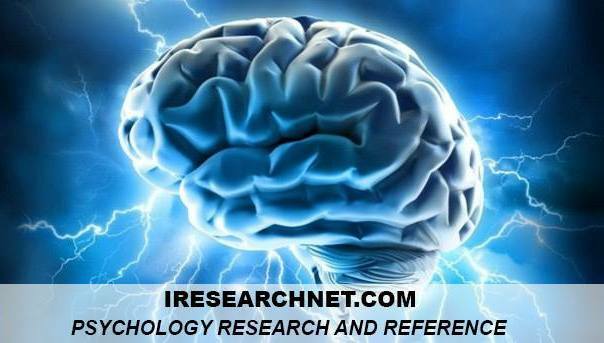 This article will describe the movements, ideas, and discoveries leading to and shaping scientific psychology, concentrating on developments in the United States, the home of twentieth century psychology. What does psychology study? The Cartesian paradigm gave one answer: Psychology is the study of consciousness, and the first psychologists defined psychology as the science of consciousness. They claimed a fixed subject matter, consciousness, and a unique method, introspection, for examining it. However, no science of human nature could completely avoid studying what people do. In Germany, Immanuel Kant proposed a science of behavior called anthropology, and in Britain, John Stuart Mill proposed a similar science called ethology. As the human sciences sorted themselves out in the nineteenth and twentieth centuries, psychology gradually extended its scope to include everything about human beings as individuals, adding the studies of individual behavior and individual differences to the study of consciousness. The other human sciences came to focus on human society (sociology), culture (anthropology), and history. Read more about Central Controversies. In severing the mind from the world, Rene Descartes severed the mind from its body. As a consequence, the role and even existence of mind became problematical. How are mind and body related? Do minds exist? Are there other minds? Read more about Mind or Matter? Innovations of the nineteenth century transformed philosophical psychology into scientific psychology. From ancient times thinkers had proposed speculative theories of how mental processes were linked to the brain and nervous system. However, not until the nineteenth century did physiology, including neurophysiology, make real progress. By the time scientific psychology began, a general, if limited, picture of neural and brain processes had emerged from two parallel tracks of research. Read more about Innovations. Following the scientific revolution, being a natural scientist meant quantitatively measuring one’s subject matter, and ideally, performing experiments. 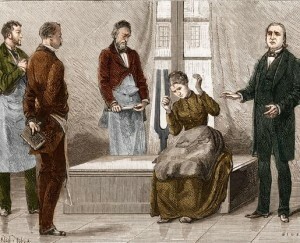 In the nineteenth century, experimental and psychometric methods came into existence. Read more about Methods. Social institutions important for the new scientific psychology changed or were created in the nineteenth century. Because psychology began as an academic discipline, it was shaped by institutions of higher education that varied significantly from country to country. Germany led the world in scientific research and postgraduate education. Before Bismarck created the second German Empire in 1871, the German-speaking world was a collection of petty princedoms. Because each prince wanted his own university, Germany had more of them than any other nation. Moreover, Germany created the modern secular, government-supported, research-oriented university. Read more about Institutions. Scientific psychology had three foundings. The first was the psychology of consciousness established by Wilhelm Wundt (1832-1920). The second was the psychology of adaptation, begun by popular writer Herbert Spencer (1820-1903), but given greatest voice by William James (1842-1910). The third was psychoanalysis, launched by Sigmund Freud (1856-1939). Read more about Founding Psychologies. Boring. E. G. (1929). A history of experimental psychology. New York: Appleton-Century-Crofts. Bringmann. W G.. Luck. H. E.. Miller. R.. & Early. C. E. (Eds.). (1997). A pictorial history of psychology. Chicago: Quintessence. Brozek. J. (Ed.). (1984). Explorations in the history of psychology in the United States. Lewisburg. PA: Bucknell University Press. Buxton. C. (Ed.). (1986). Points of view in the history of psychology. San Diego. CA: Academic Press. Ellenberger. H. F. (1970). The discovery of the unconscious. New York: Basic Books. Finger. S. (1994). Origins of neuroscience. New York: Oxford University Press. Kucklick. B. (1977). The rise of American philosophy: Cambridge. Massachusetts 1860-1930. New Haven. CT: Yale University Press. Leahey. T. H. (2000). A history of psychology: Main currents in psychological thought (5th ed.). Upper Saddle River. NJ: Prentice Hall. Leahey. T. H .. & Leahey. G. E. (1983). Psychology’s occult doubles. Chicago: Nelson-Hall. Pinero. J. M. L (1983). Historical origins of the concept of neurosis. Cambridge. England: Cambridge University Press. Rieber. R. W. (Ed.). (1980). Wilhelm Wundt and the making of a scientific psychology. New York: Plenum Press. Scruton. R. (1995). Modern philosophy: An introduction and survey. New York: Allen Lane/Penguin. Shorter, E. (1997). A history of psychiatry. New York: Wiley. Smith, R. (1997). The Norton history of the human sciences. New York: Norton. Soffer. R. N. (1978). Ethics and society in England: The revolution in the social sciences. 1870-1914. Berkeley: Uni­versity of California Press. Webster, R. (1995). Why Freud was wrong. New York: Basic Books. Woodward, W. W, & Ash, M. G. (Eds.). (1982). The problematic science: Psychology in nineteenth-century thought. New York: Praeger. Young, D. (1970). Mind, brain, and adaptation in the nineteenth century. Oxford, England Clarendon Press.